Now and again something comes along that changes the texture of all aspects of life. Today more than ever...internet, wifi, stem cell... But back in the day (100 years ago) these guys were the movers and shakers. And I never tire of looking back and being inspired. The Bauhaus, the most influential art and design school in history, celebrates its 100th anniversary in 2019. This overview by Owen Hopkins kicks off dezeen's Bauhaus 100 series exploring the school's key figures and projects. There are moments in history when a confluence of ideas, people, and broader cultural and technological forces creates a spark. Sometimes the spark amounts to nothing more than a flicker. But if conditions are right, it can erupt into a dazzling, brilliant light that, while burning for only a brief moment, changes the world around it. 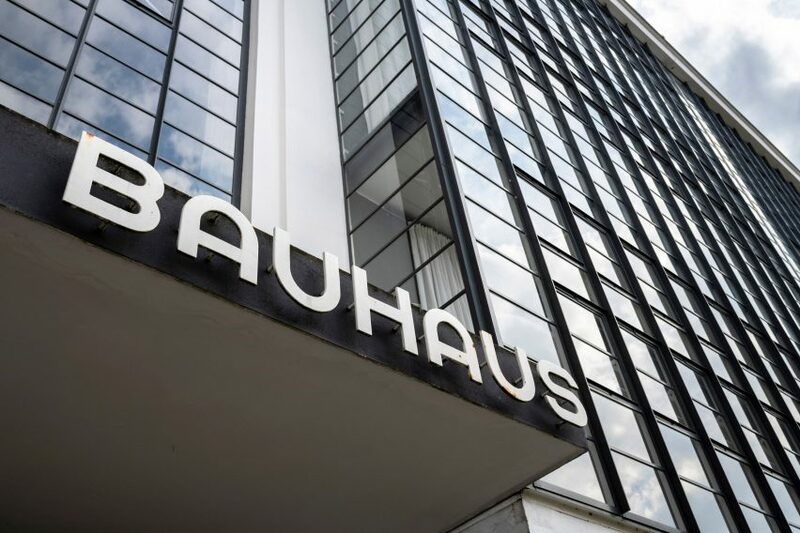 The Bauhaus was one of these – a place that despite the economic turmoil and cultural conservatism of the world around it, offered a truly radical, international and optimistic vision of the future. No school of design has been as influential as the Bauhaus. Although the Bauhaus "style" has been commodified, its most iconic works now available as reproductions and knock-offs, the radical zeal embodied in its ethos and output is still there. Take something as ubiquitous as the tubular chair, now a feature of corporate boardrooms across the world. The idea for the chair was developed by Marcel Breuer and Mart Stam, who were responsible for the more iconic versions of the design. 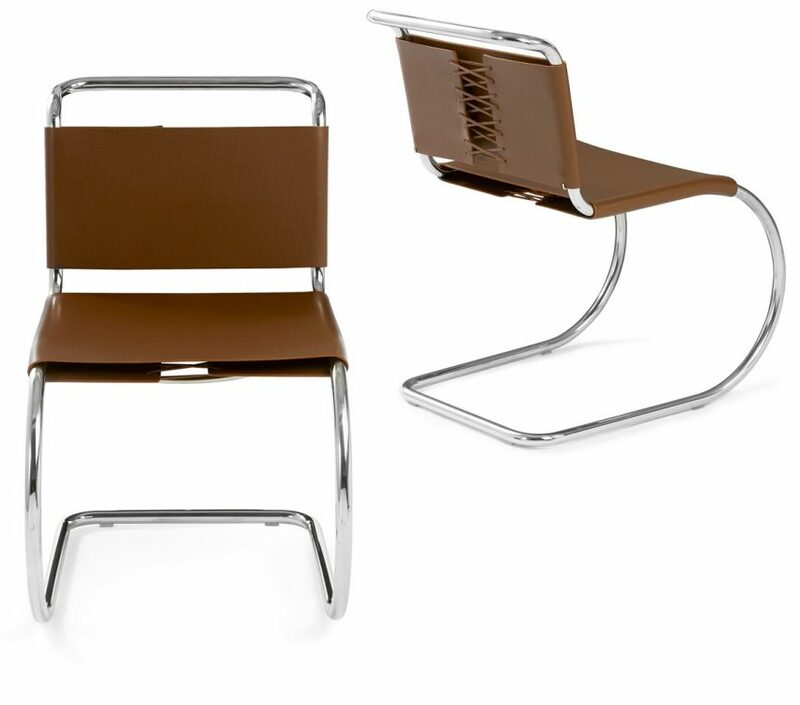 But in my view, its purest manifestation is actually a version by Mies van der Rohe from 1927: the MR Side Chair. On one level, the design is an essay in efficiency, devoid of anything extraneous and using the smallest number of different materials – only the chrome-plated steel tubes, the leather seat and back, and the string that ties it together. Yet, inherent in the design is an amazing drama and flair emerging from that purity, of materials being not just true to themselves but showing off their potential. It is a chair as the purest expression of itself, and embodying the spirit of the modern age. The search for the appropriate cultural response to the conditions of industrial modernity was not, of course, unique to the Bauhaus, or indeed to the period after the first world war. In 1913, Walter Gropius, the founder of the Bauhaus, argued that: "The new times demand their own expression. Exactly stamped from form devoid of all accident, clear contrasts, the ordering of members, the arrangement of like part in series, unity of form and colour…"
However, this mission was to be delayed and its subsequent direction altered by the horrors of industrial warfare. Joost Schmidt's poster for an exhibition at the Bauhaus in 1923 shows many of the graphic forms that the school is known for. Nevertheless, when Gropius founded the Bauhaus in 1919 in the town of Weimar, by bringing together existing institutions – the old Academy of Fine Arts and a more recently established School of Applied Arts – he was still able to proclaim: "Let us conceive, consider and create together the new building of the future that will bring all into one simple integrated creation: architecture, painting and sculpture rising to heaven out of the hand of a million craftsmen, the crystal symbol of the new faith of the future." From the beginning the Bauhaus – which literally means construction house – sought to unify art and craft, both by bringing these disciplines together (literally) under one roof and in the nature of the curriculum that was taught. Marcel Breuer's Wassily Chair is one of many iconic items of furniture designed by students and teachers at the school. For Gropius, breaking down the old artistic hierarchies was not simply a cultural act, but a social one too, aiming at a fundamental reordering of society for the modern age. In this, he was not a million miles away from William Morris or even AWN Pugin, who both argued in different ways that traditional design and craft might lead to a return to pre-industrial cultural, social and even religious values. 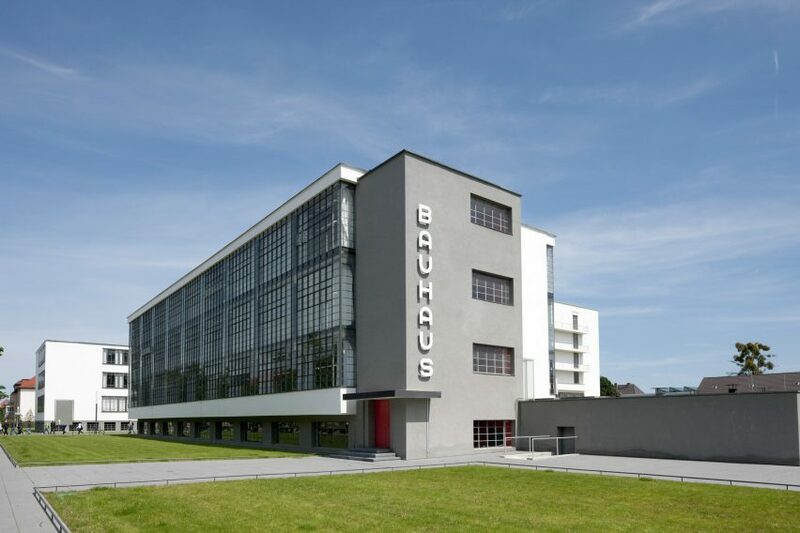 While Gropius similarly saw art and design as an instrument towards a different world, the one he longed for was not some mythic notion of the past but one that came to terms with the conditions of industrial modernity – advocating a cultural movement that we understand today as modernism. Initially at least – and somewhat surprisingly in retrospect – this did not mean embracing industry and industrial forms of making. This perhaps explains the mention of the crystal symbol in Bauhaus proclamation, which alluded to the mystical pre-war visions of Bruno Taut's Alpine Architecture. Among the most influential teachers in the early years of the Bauhaus was Johannes Itten, the expressionist painter, who led a preliminary course for all students exploring colour, formal experimentation and the transcendental possibilities of abstraction, which he saw as connecting to inner mental states. This position was clearly somewhat at odds with the more materialist view of the Deutsche Werkbund group that had influenced Gropius before the war. Yet even Itten's course could be seen as having a radical social, as well as aesthetic, agenda. Rejecting figuration and existing aesthetic hierarchies opened up the possibility of a universal, class-less culture. After this preliminary course, which was at various times taught by such luminaries as Wassily Kandinsky, Paul Klee and Josef Albers, students would graduate to more specialised studies, such as weaving, metalwork, pottery and cabinet making. Again, there was a clear contradiction between Gropius' aim of unifying art and craft, and maintaining these disciplinary distinctions, but their continuation reflected financial realities that the Bauhaus had to face. However from 1922 the direction of the Bauhaus, then still in Weimar, began to change. The Germany economy was beginning to recover, while the visit of the De Stijl artist Theo van Doesburg appeared to have initiated a shift towards a new overtly modernist design language and a renewed interest in integrating design and industry. László Moholy-Nagy took over Itten's preliminary course and introduced a more machine-orientated aesthetic and philosophy. As if to confirm the change of direction, Gropius declared in an article around the exhibition of 1923: "The Bauhaus believes the machine to be our modern medium of design and seeks to come to terms with it." In retrospect, the following years were the heyday of the Bauhaus. In 1925, the school moved from Weimar to a new building designed by Gropius himself on a site outside the town of Dessau. Gropius' design was a synthesis of everything the Bauhaus stood for – bringing together arts, crafts and industry into a total work of art. As one the first buildings of the so-called International Style, the building has become so familiar and imitated that it is sometimes forgotten how radical it really was – the built manifestation of the new abstract language of modernism. The Bauhaus' second home was a new building designed by Gropius. Composed of intersecting horizontal and vertical lines and planes, the building's pin-wheel plan, with wings splaying out over the site, rejected – or rather transcended – traditional symmetry. As a result, there was no clear hierarchy between various components of the building (as befitting the lack of hierarchy in the various activities that went on inside). Modern materials – steel, glass and concrete – were deployed to reveal their structural and symbolic potential, for example, in the long plate-glass ribbon windows, cantilevered balconies and the bridge that elevated one of the wings over a road that ran across the site. The design emerged as both a function of the building's intended use – a building for the machine age – and as a complex allusion to the deeper, universal meanings and implications of abstraction. 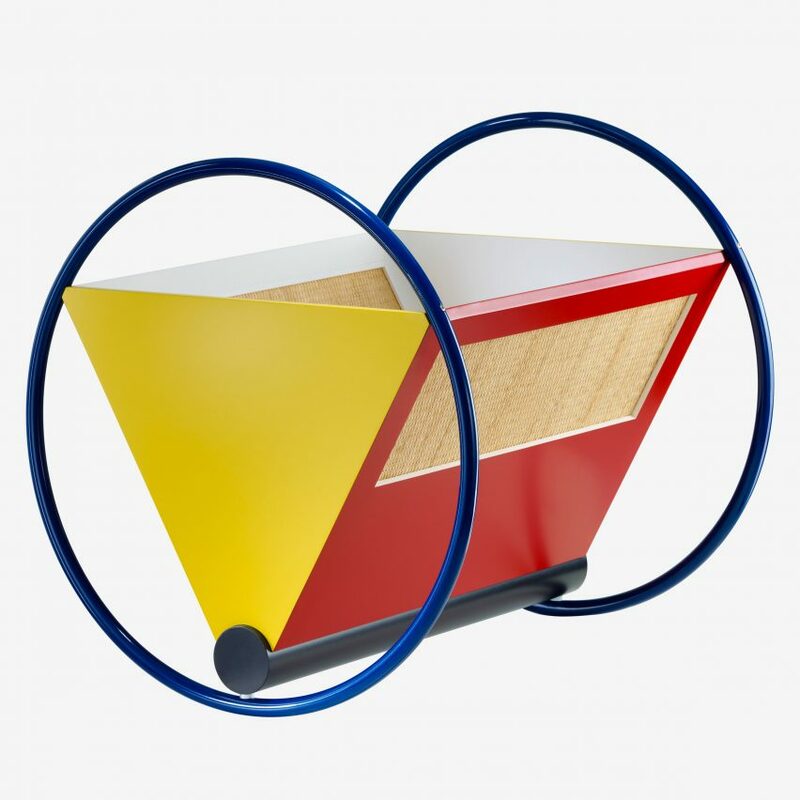 In short, it was the essence of the Bauhaus captured in three-dimensions. Over the following years, a student at the Bauhaus might encounter Marcel Breuer leading the cabinet-making department and developing those radical and iconic furniture designs, Gunta Stölzl revolutionising the art of textile design and production through abstraction and unorthodox materials, metalworking with teachers such as Moholy-Nagy and Marianne Brandt producing designs that would readily translate to mass-production, and Kandinsky and Klee exploring new ways to consider form. For a brief moment, the Bauhaus held the keys that might unlock the future. Perhaps inevitably things were not to last. The Bauhaus had attracted criticism from the beginning. It was viewed with suspicion for the very reasons that made it so important: its internationalism, which was perceived as foreignness; its social progressiveness, both within the school and in the view of the world it espoused, which was equated with Bolshevism; and its new aesthetic, which was seen as degenerate in contrast to supposedly natural German cultural tradition. In 1928, Gropius left the school, with Hannes Meyer succeeding him as director. Meyer's overtly functionalist and ideological direction saw the attacks on the Bauhaus intensify in a climate already deeply suspicious of anything not deemed authentically German. Mies van der Rohe oversaw the final years until the school's closure in 1933, with many of its leading lights emigrating to the USA where they continued to expound Bauhaus ideals through their teaching methods and philosophies. Although the Bauhaus lasted little more than a decade, a simple measure of its significance is that no school of architecture or design can legitimately claim not to have been influenced by it in some way. But the Bauhaus' impact extended far beyond design education – it was a place conceived from the beginning to grapple with a fast changing world, and to find a cultural response that would not just mitigate its transformations, but to mould them for the benefit of all. It is some irony that. as we celebrate the centenary of the Bauhaus, the forces of nationalism, conservatism and cultural retrenchment that led to its closure, and in the years following to death and destruction on a scale unprecedented in human history, are returning with a vengeance. In this increasingly reactionary and populist world, the ideals of the Bauhaus – its internationalism, its willingness to grapple with, rather shy away from, a changing world, and its fundamental optimism about the future – are needed more than ever.